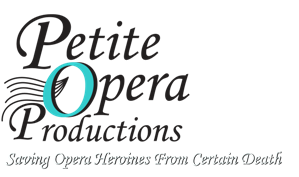 Petite Opera Productions, a new opera company, is seeking to expand its relationship with the opera performing community and related industry personnel. The company, whose mission is to take the stuffy out of opera, and help convert music patrons into opera lovers, is focusing its performance selections mostly on comic works, all of which are performed in updated English translations, and in intimate settings. On October 30, 2009 - opening night for Petite Opera Productions’ new comic opera parody entitled “Al Fresco: Life Through Opera-Colored Glasses” - performers who provide a headshot photo and resume, and industry personnel who provide a resume, pay only $15 per ticket (a $10 discount). The group is interested in meeting classically-trained vocalists living in the Midwest who possess exquisite comedic timing and acting abilities, and a passion for converting patrons to the operatic genre. 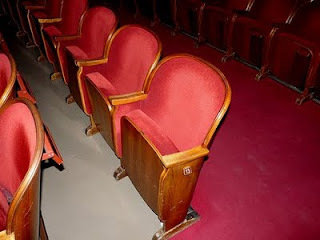 Likewise, the company seeks industry specialists in the areas of lighting, audio, set design, stage management and related disciplines who wish to provide a fresh face to opera production. Together, we can define opera as the genre of choice for future generations. Photo: Vienna State Opera Auditorium (via Ethan Prater) via Creative Commons license.